Borrowers in the Philippines have two options when it comes to home loans. The first one is the Conventional Home Loan and second one is the Flexible Home Loan or commonly known as a flexi-loan. A Conventional Loan requires a borrower to make fixed monthly payments for a specific term or period. Philippine banks provide their clients home loans with a loan tenure of up to 20 years for a minimum of P500,000. This type of repayment scheme enables a borrower to properly manage his finances because the payments are predictable. What is a Flexible Home Loan? 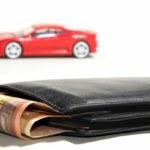 Flexi loans are conventional loans that are tied or linked to a current account. Borrowers can reduce their home loan interest every time they deposit cash to their current account. Excess payments can also be withdrawn anytime without giving the bank any notice. Borrowers can also start their principal repayment anytime they want. Housing loan interest rates in the Philippines are influenced by the BSP’s (Bangko Sentral ng Pilipinas) key rates. The current base lending rate is recorded at 6%. This means your interest will be 3.5% on a (BLR-2.5%) loan. However, home loans interest rates vary and are subject to withholding tax and additional charges. Borrowers should also be aware that there is an annual re-pricing so the interest rates will increase every year unless they choose to lock it. BDO (Bangko de Oro) offers an interest rate of 7.88% on the first year, 9.75% for 3 years, 10.00% for 5 years, 11.00% for 11 years, 11.25% for 15 years and 11.50% for 16 to 25 years. A penalty of 2% is usually charged on the original loan amount by some banks, this occurs if you fully repay your debt before the maturity date. However this varies on a case by case basis since most of the banks in the Philippines have annual re-pricing schemes. Some banks give their clients the option to lock the interest rate for 1-10 years. The monthly amortization can be easily predicted in the coming years if a borrower chooses to lock the interest rate. Say for example you have a P1,000,000 loan which is payable for 10 years you can get a low rate of 5.75% on it and just pay P10,977 monthly. However, borrowers will be facing higher interest rates in the coming years if they choose to go with yearly re-pricing. So if the interest goes to 8.00% from 5.75% the borrower will pay P12,026 instead of just P10,977. 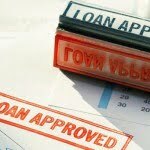 There are several factors that influence the loan rate. Banks in the Philippines base the amount that a client can borrow on the age and income bracket of the applicant, property type and location and the current value of the property on the market. The maximum margin of loan that banks would lend up to is between 80% and 90%. So if you are going to apply for a housing loan to finance a P1,000,000 home in a key location in Manila you are eligible for a loan amounting to P800,000 or P900,000. 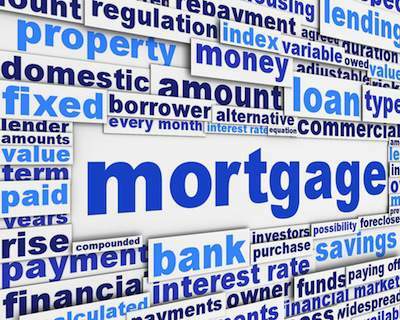 Read the second article to get more information about mortgage loans!